Kiwanis Medical Foundation Luncheon with Dr. David Park, Director of the Brain and Mind Institute of the University of Ottawa (uOBMRI). The uOBMRI’s mission is: to develop new therapies for neurological and psychiatric disorders by harnessing the brain`s internal potential for regeneration, protection, and recovery; and to implement fundamental changes in patient care by offering more integrated, personalized treatment plans based on findings from our research. 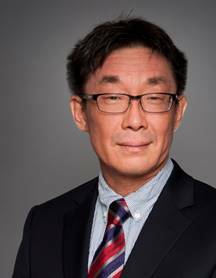 Dr. Park is also the Co-founder and Co-director of the Parkinson Research Consortium (PRC), a Professor at the University of Ottawa Faculty of Medicine, an elected Royal Society of Canada Fellow and a recent World Class University scholar. On Wednesday, August 20th the Ottawa Regional Cancer Foundation recognized the Kiwanis Club of Ottawa Medical Foundation’s commitment to cancer research by hosting a dedication ceremony in the Richard & Annette Bloch Cancer Survivors Park. "It is truly inspiring when groups like yours come together to help others." - Linda Eagen, Cancer Foundation President & CEO. The Kiwanis Club of Ottawa is incredibly proud to support our local scientists, and has pledged $100,000 to the Cancer Foundation in support of local cancer research. Those funds are being directed to the ground-breaking cancer research taking place in Dr. Korneluk’s lab at CHEO. The research combines two experimental cancer treatments — viral therapy, which was pioneered at the Ottawa Hospital Research Institute, as well as IAP (inhibitor of apoptosis protein)-based therapies that target cancer genes, which were discovered at CHEO 19 years ago. Dr. Bell will discuss their current understanding of how cancers arise and how they can use this information to develop new, safe and effective therapeutics. Will focus on their discovery that viruses can be engineered to specifically infect and kill tumours with examples from early human trials. At the Hilton Garden Inn, Ottawa Airport. The Kiwanis Medical Foundation Committee will present an update on the current activities of the Foundation in addition to an update on KMF funding research provided by 3 guest speakers - Dr. Robert Korneluk from the Faculty of Medicine, University of Ottawa; Dr. Rafik Goubran, Dean of the Faculty of Engineering at Carleton University; and Linda Eagan from the Ottawa Regional Cancer Foundation. We will also be recognizing the one who advocated for a 911 emergency response hotline in Ottawa in 1988 - one of our members, Mark O'Neill! Dr. Kanta Marwah was sponsored into our club by Past President Sam Bhargava in 2003. Sam had explained that as a volunteer she was expected to participate where possible, and he encouraged her to become involved with whatever projects our club was working on.